Nardy House is designed to be the permanent home of six people with profound disabilities. The house will operate as all homes do: as a base from which a person interacts with the community. Normal household routines will operate and be changed to accommodate this interaction. The facility is in the building stages and help from the Ryder Cheshire Foundation will see the building programme past lock up stage. A separate facility on site is designed to provide short term and crisis respite for up to six people with profound disabilities. The building of this facility has been assisted by a grant from the State Government. The building, with the help of many local businesses, organisations and individuals has now been completed; it is recurrently funded by the NSW Government and is operating on a twenty-four hour/seven day a week basis. The facility offers a service under a unique partnership agreement with the N.S.W. Department of ADHC : Ageing, Disability and Homecare. 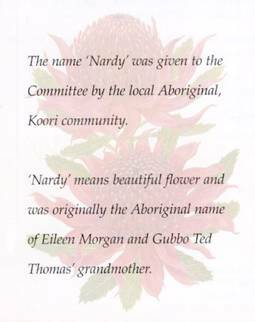 The concept to develop Nardy House came from a group of parents who cared for children with profound disabilities. These parents realised that eventually they would be unable to meet the demanding role of caring for their children. They also realised that their children would be placed in aged care nursing homes as this was the only housing option available. The alternative was to provide a secure and appropriate form of home that was equal to the quality and care received from the family. Watch our video about how Nardy House came about and what you can do to help.